New year. New mood. New hues. 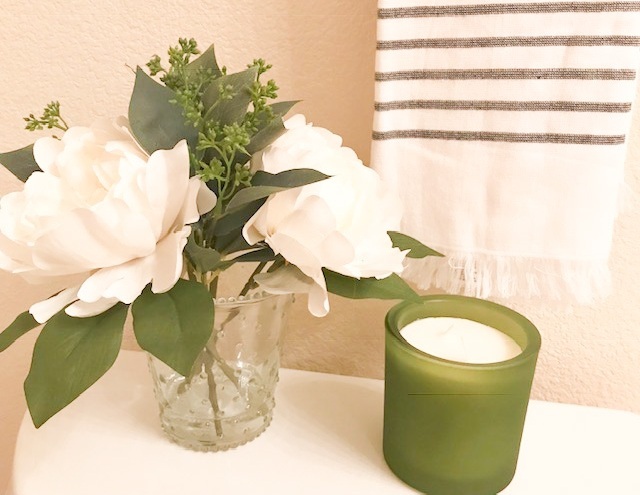 I'm in the mood to freshen things up right now (as I'm sure many of you are too) and I started off with a bathroom refresh this past weekend! It felt so good to clean up, toss out old/unused things, and give it a whole new look & feel altogether. Look wise, I wanted to take the blue hues that were in there - out, and replace it with something that felt...CRISP. I’d purchased this gorgeous giclee print by Clare Elsaesser at the end of last year. It's beautiful & moody, and I felt it would set the perfect tone in the bathroom. I wanted to give it an antique gold frame and after hunting in antique stores for the right match, and having no luck there, I found these guys online. And boy, am I glad I did! I LOVE my scooped antique frame ($75). I had a local framer add plexi, a mat and backing (for $70), and voila! I’m thrilled with the way it shaped up. It became the jumping off point for the rest of look. I also love the monogrammed shower curtain (L for Lakadawala - our last name). You can't tell from the pictures, but the border and scripted 'L' are embroidered - giving it a deep, rich finish. It's about to get real in this next pic. Under the sink storage baskets for all those not so pretty (but essential!) cleaning supplies. I bought these seagrass baskets (first spotted at my sister’s) at The Container Store. Highly recommend! 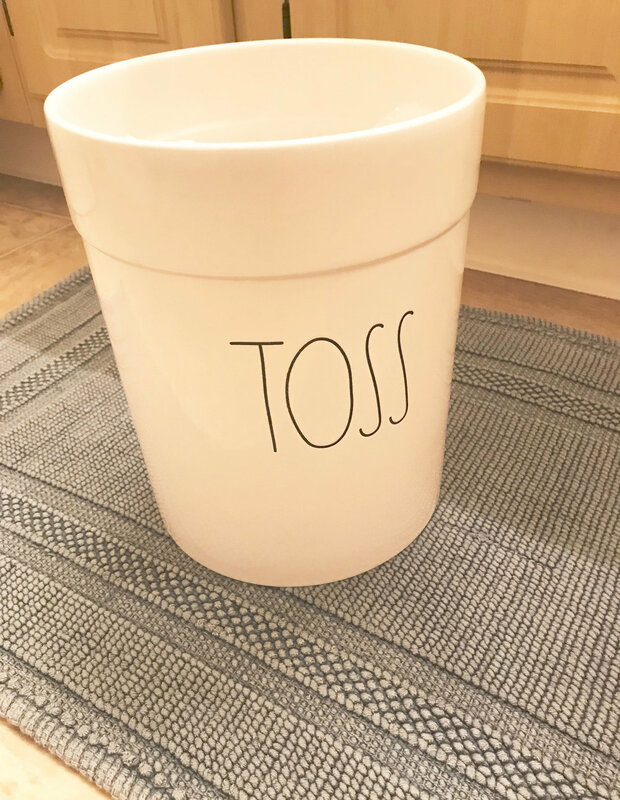 Bought a couple more for other areas of the house.